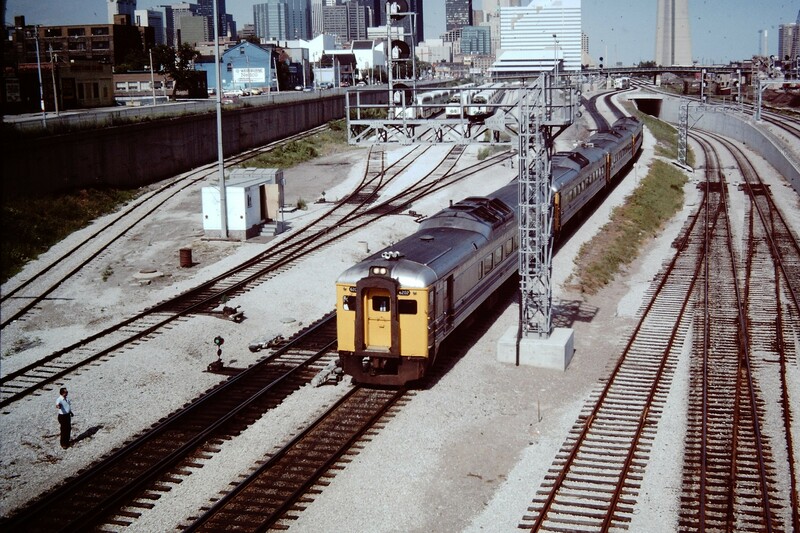 These VIA RDCs are seen in Toronto near Union Station. Photographed by Mitchell Libby, June 16, 1986. Added to the photo archive by Mitchell Libby, February 12, 2019.